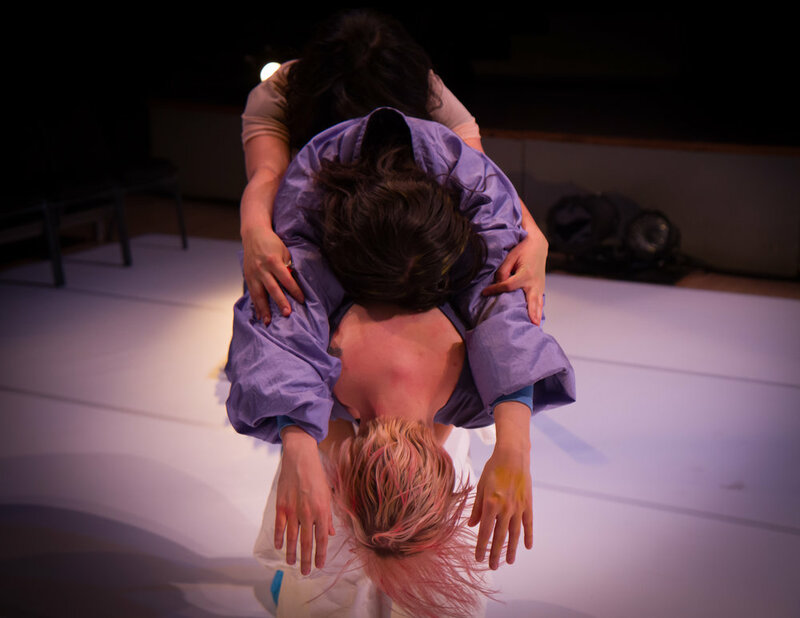 Dog Flats (FEB 5-6 2018, Roulette Intermedium) sees three women using objects, materials, and movement patterns to create a live multi-layered sound score amidst personal investigation to architecture, color, transformation, and memory. 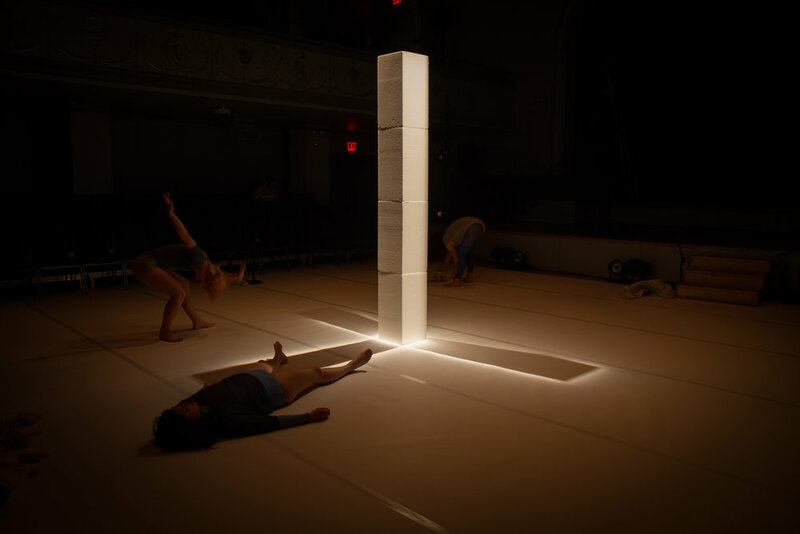 Performers Katie Dean, Ayano Elson, and Jessica Cook obscure and expand audience sight line to alter the perceiving of sound and its relationship to movement. Rhythmic patterns are systematically built and deconstructed to amplify and ornament gesture and shape. The performers traverse through rigid dance constructs cut with improvisational scores centered around memory, desire, and hyper-emotion. Sculptural landscaping and transformation produce sonic textures that are threaded and perpetuated alongside Lillie De‘s light design.